Silsila Badalte Rishton Ka is one of the most TRP rating serial. There is so much drama happing in the Tv serial Silsila Badalte Rishton Ka. The show is the most popular serial of the Tv show Colors channel. Silsila Badalte Rishton Ka is currently attracting so many viewers. There is a high-voltage drama is going on in the serial Silsila Badalte Rishton Ka. The serial is giving so much entertainment to their audience for a long time and getting an overwhelming response from the audience. 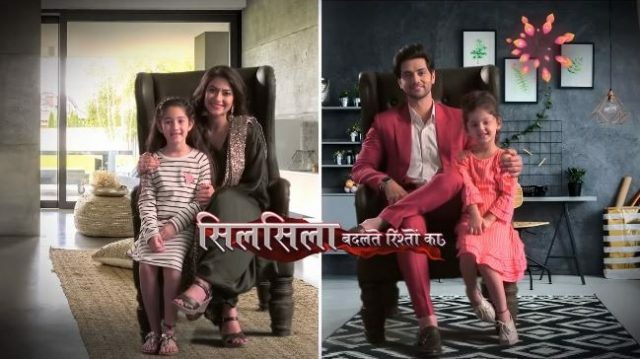 The show Silsila Badalte Rishton Ka get intrusting day by day. Today’s episode Silsila Badalte Rishton Ka written update Mishti disturbed because of Kunal. Silsila Badalte Rishton Ka written episode 28th November 2018, begins with Mishti stood right behind them. Kunal moves towards er but Mauli stops him and takes Mishti inside to sleep together. To see this he feels so sad. It was night, Mishti was still awake. Mauli wonders that if she heard something, and offers to tell Mishti a story. She asks why Pari’s papa came here? Mauli said that he wanted some help about Pari’s admission. She tells Mishti to sleep, thinking that she will never let Mishti know about Kunal. Mishit was awake and thinks that she knows Pari’s buddy is her real father. In the morning, Pari and Kunal both had fun in the kitchen while making paratha Kunal ask Pari if she does not get bored, as he is in the clinic most of the time. Pari said she misses him a lot and after this she gets sad. Kunal asks what about having another sister for Pari. She clearly tells to Kunal that she can not share Kunal with anyone. Mamma apologizes Mauli and promises to speak to Kunal to stay away from Mishti. Mauli said that she has found a great solution to this problem. And the solution is that she asks the lawyer to find out some solution so that Kunal has no right over her daughter. She wants full custody rights. Upcoming of Silsila Badalte Rishton Ka: Kunal calls Mauli and asks if Mishti knows about his relationship with her. Mauli said Mishti must never know about it. Kunal also hopes that their daughter does not go through the same pain as he does. Ishaan comes to Mauli. Y have colors stopped telecasting silsila badalte rishton ka. Plèase ‘re telecast it we enjoyed watching it .